The surface within the Ga-Ga Pit should be as smooth as possible. Concrete or asphalt is recommended for the fastest and maintenance free results; but other surfaces will work too. Grass or dirt will work, but there will be some maintenance involved. When it gets wet, it may become a mud pit. Another alternative is stone dust or screenings. Wood chips or other safe surfaces on the outside of the pit may be used to absorb any falls when participants go over the wall once eliminated from the game. If you choose not to permanently mount the GaGa Ball Pit, then you can place the pit on grass and move it around as the grass deteriorates or mud appears. 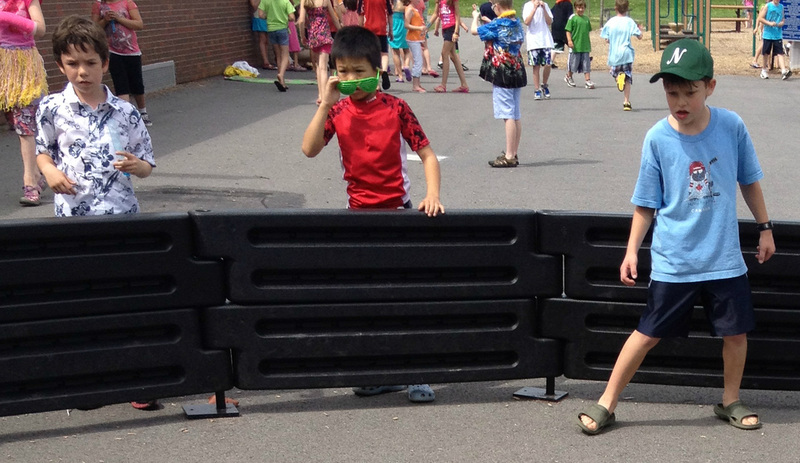 Learn more about our GaGa Ball Pits.